These books are currently out of print but they can still be read online by clicking the title below! For information about sponsoring the reprint of a book, please send an email to info@LamaYeshe.com. 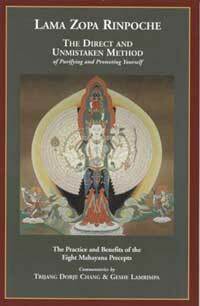 This book is a practical guide to the eight Mahayana precepts. It explains the benefits of the vows and the meaning of the ceremony for receiving them, and for easy reference contains the ceremony itself, written out clearly for regular use. 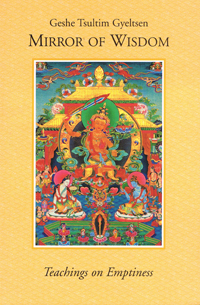 In this book, Geshe Gyeltsen helps us establish a correct view of emptiness, the ultimate mode of being of all phenomena. Basing his explanation of emptiness on the Heart Sutra and the emptiness section of Mind Training Like the Rays of the Sun, Geshe-la helps us cut through our inability to see reality and sets us firmly on the path to liberation and enlightenment.